Marble with golden veins embodies everything that gold transmits and that the human being has valued century after century up to the present time. Beyond the foreseeable connotations that the use of gold entails, the color of the most appreciated metal in the world conveys great universal concepts. The quality of a product is usually represented under a golden seal. The fidelity of those who marry is sealed with two gold rings. The best sportsman is awarded a gold medal. Gold is a symbol of victory, of fame and, why not say it, of a job well done. 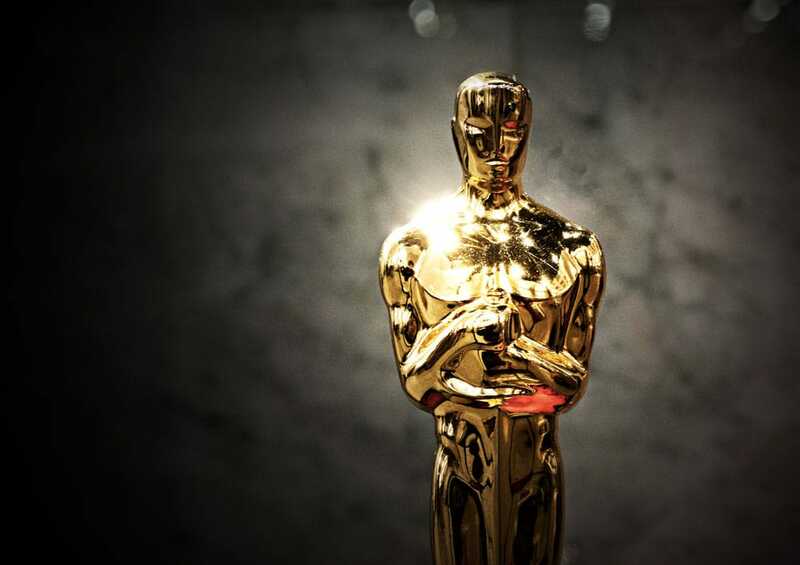 A paradigmatic example of our days are the statuettes of The Oscars. A generous person is worth his weight in gold and the best Champions League scorer receives the golden ball. Gold is a prize. A distinction of granting the quality of “good” to an object or product, to an action or service, and even to a person. The golden color is found in many stones in the form of small particles or grains. A natural rock as beautiful as marble with golden streaks is the best distinction we can offer to our interior design project. With it, we will print a halo of quality and exquisiteness into the space. 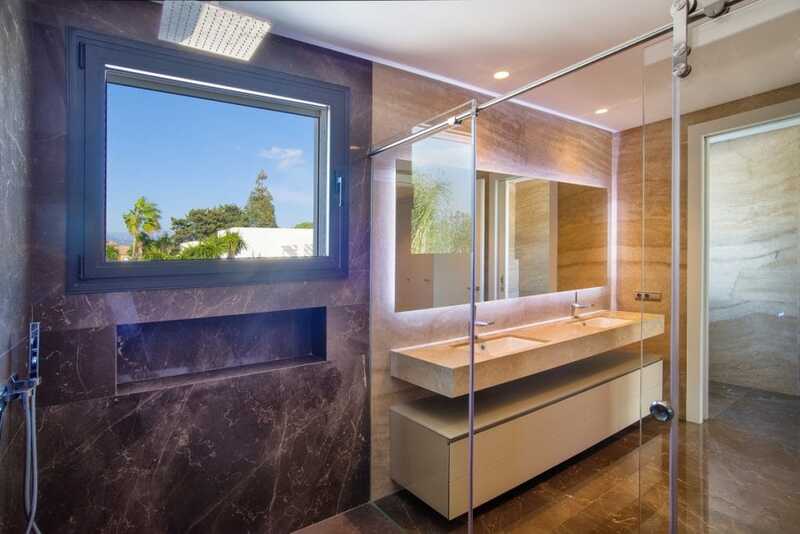 TINO Natural Stone has in its collection numerous typologies of marble with golden veins. Let’s look at a few examples. 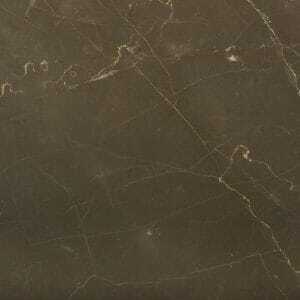 Oasis Brown is a marble of chocolate color. It is considered a semi-precious stone due to its beautiful crystalline background of brown tones with subtle golden streaks. The combination of the earth tones with the sparkles offered by the golden veins form an elegant composition which is very connected with nature. The result is an atmosphere of well-being, serenity, recollection, and pleasure for the senses. An example of this concept is this bathroom that combines Oasis Brown walls with Travertine Classic cladding and toilets. The Travertine, for its toasted tones, blends perfectly with the prominent wall of the shower, reinforcing the image of harmony with nature. Within the black marble collection, we find Vulcano, a crystalline marble with an unfathomable black base. The veins crossing the marble present a bicolor aspect, alternating white and gold. The shape of the veins sprouts like filaments that, occasionally, are grouped in nodes that give strength to the whole. This design proposal developed by TINO Natural Stone embodies what Vulcano can bring to an interior. 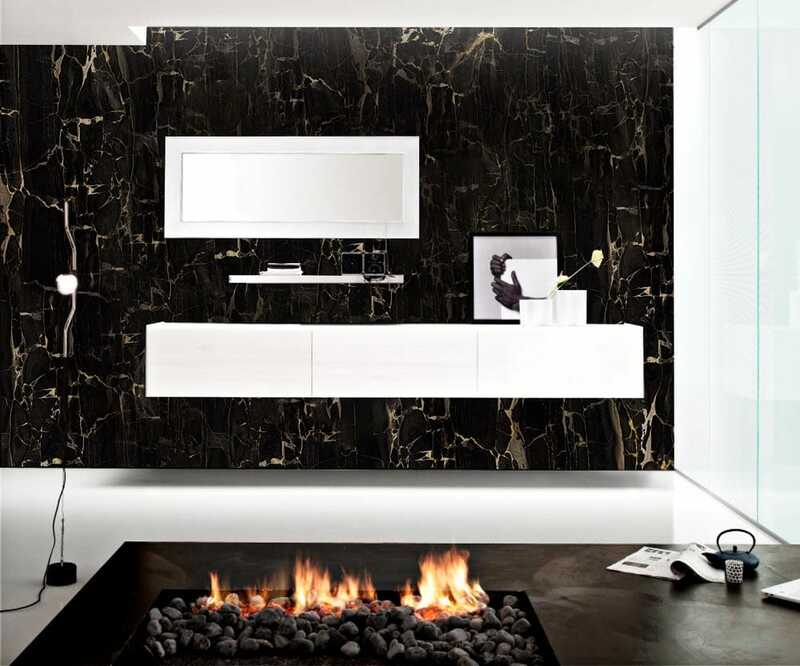 The exclusivity of black marble with golden streaks enhanced by the presence of a futuristic fireplace. 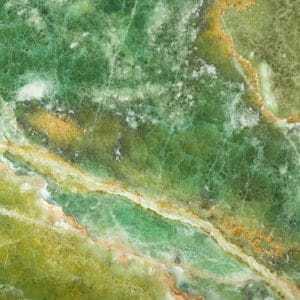 Green Onyx has a crystalline background with a spectrum of shades ranging from malachite green to lime green. The grooves that make it a unique stone are gold, ochre, and white, and portray the wildest beauty of nature. 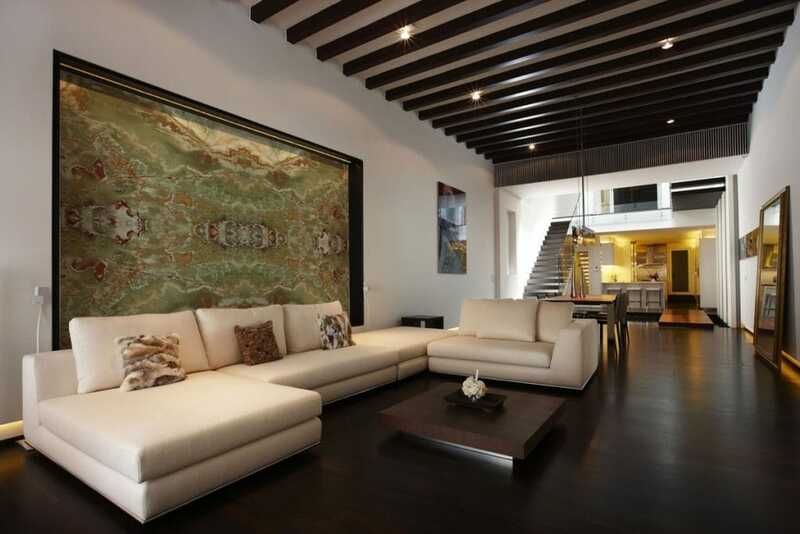 Integrating an element of Green Onyx in interior design means to express movement via a jewel-wall. A rich and generous gem that combines tones of greens and gold without renouncing purity. 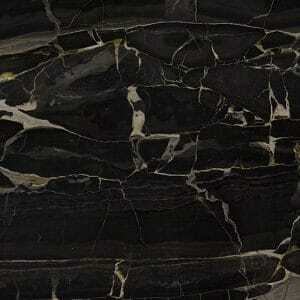 If any stone for interiors represents luxury and exclusivity, this is the black Portoro marble. 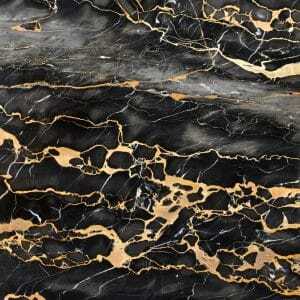 From its profound black crystalline base emerges a spectacular burst of golden veins and white effervescences. It is no coincidence that it is considered the most expensive black marble in the world. 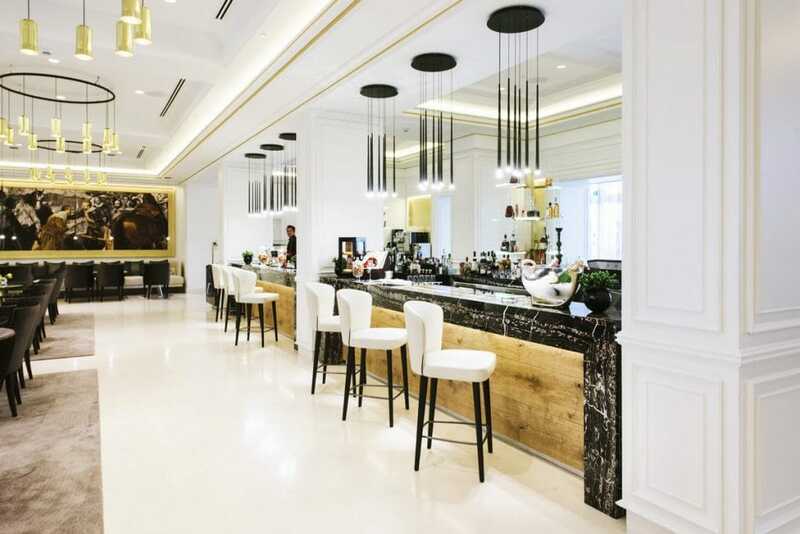 The worktop of the exclusive bar of the Gran Meliá Palacio de Los Duques in Madrid was made with Portoro. The great work of interior design is appreciated by the capacity of the space to combine elegance, classicism, and modernity in the same environment thanks to the combination of white, black and gold.